Nicholas Owen – BBC News Presenter, Author, Conference Presenter and Awards Host. Nicholas Owen is a presenter with BBC News, appearing on BBC 1’s Six O’Clock News and News 24. He re-joined the Corporation in February 2007. For well over a decade before that he hosted all ITN’s major bulletins, including Channel Four News and News at Ten. He has also appeared in a wide range of other TV and radio programmes, including being a contestant in BBC1’s ‘Strictly Come Dancing’ and presenting a Prom concert on BBC 2. Nicholas Owen was a regular contributor to ITN’s ‘Budget’ programmes, having joined ITN as Channel Four News’ Business and Economics Correspondent. He presented ITV1’s live hour and a half ‘Budget’ programme in 2004. During the first Gulf War Nicholas presented the highly-acclaimed ‘Midnight Special’ programmes when they were launched on Channel Four. He also anchored ‘The Parliament Programme’, Channel Four’s first daytime political series. From 1994 to 2000 Nicholas Owen was Royal Correspondent for ITV News. In that capacity he played a major role in reporting on the death and funeral of Diana, Princess of Wales. He compiled a book on her life entitled “Diana – The People’s Princess” which was updated and republished in 2007. Nicholas Owen began his journalistic career on the Surrey Mirror in 1964 before moving to Fleet Street in 1968. He worked for the Evening Standard and the Daily Telegraph before spending seven years with the Financial Times. In 1981 he switched to television reporting, joining the BBC in the North of England, and covering general and industrial stories for both regional and national news and current affairs programmes. He moved to ITN in 1984. 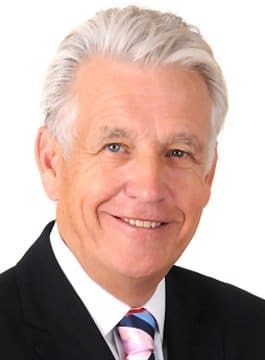 Nicholas Owen undertakes a wide range of corporate work, which includes hosting major industry conferences, seminars and award ceremonies; chairing ‘Question Time’ style sessions and debates; and giving after dinner – and lunchtime – speeches. Chairing the National Rail Conference. Hosting the Royal Television Society’s North of England Awards. Chairing question and answer sessions on the future of oncology medicine for Pfizer Ltd.
Chairing an international environmental conference at the Natural History Museum. Chairing question and answer sessions at successive Police Federation conferences. Chairing a BT workshop session involving other leading FTSE 100 firms. Hosting a major international television conference at the Palais de Congress in Paris, attended by TV executives worldwide, both in the audience and via video links. "Servier were delighted with the event and thought you were brilliant! Thank you for being so kind and friendly. It was a pleasure to work with you..."
"Thanks for all your help and support… With a very short lead-in time and most material coming in very late....it was so reassuring to know that I had your experienced and calm self on stage to deal with any emergencies." "There was unanimous praise for your witty and stylish presentation"